Moncler hired an up and coming British fashion designer Christopher Raeburn for its Moncler R line. According to Moncler's own website: Moncler R is a total look collection that draws its colours from the archetypal outdoor military palette: olive green, khaki, white and black are lightened with contrasting hints of sky-blue. Unusual combinations of materials such as technical wools and closed-knit cotton fabrics bring an unexpected but functional cohesion to the collection. For me, I just love the versatility of the gilet/vest. The hood can be taken off for a less luxurious look but heck, why would anyone want to take it off in the first place! 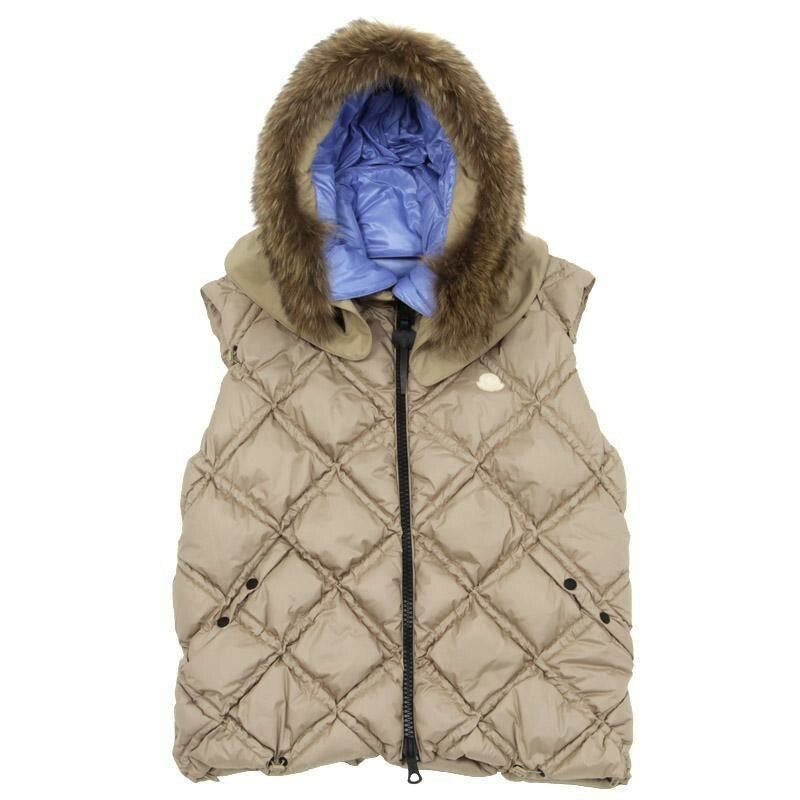 The khaki/ light bronze color fabric has a beautiful sheen to it which makes the gilet look dressier than say a typical Moncler vest. The diamond pattern looks really cool and the zipper in the front is unique to Moncler R line. These zippers are made by riri (the best zippers in the world are made by riri according to a fashion designer friend). The vest also comes in black. 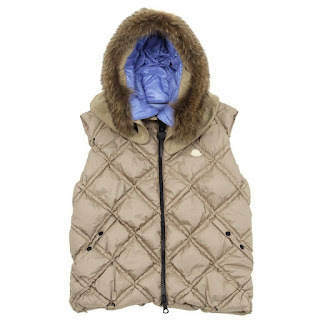 There is an added bonus of Moncler goose puppet that also comes with all Moncler R clothes. The puppet/doll comes in either military green or sky blue. Apparently they produced very limited number of Moncler R stuff so get them while you can. Available at Atrium in NYC as well as End in UK.